A new laser measurement sensor featuring an intuitive two-line user interface display has been introduced by Banner Engineering. 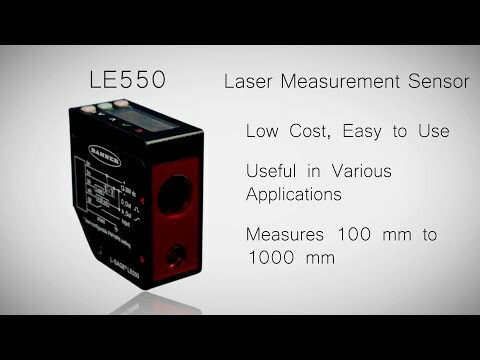 The LE550 sensor offers a combination of range, repeatability, accuracy and ease of use not previously available at this price point. The sensor’s linear array provides accurate measurements from 100 to 1000 mm on a wide range of challenging targets from black rubber to shiny metal. Typical applications include roll diameter, loop control, object measurement and position. Multiple sensors can be installed in close proximity for precise measurements. The die-cast housing is rated IP67, NEMA 6 for use in harsh conditions.